This is such a short, sweet post that I could not resist passing up the wisdom that this little phrase debunks. Well I have, plenty of times, and it is incredibly disappointing everytime I hear it. I’ve heard it from everyone, from well-meaning family members (decades ago) to new people I have just met. The word “diet” is such a worn-out, used-up word, can we all agree to just ban this word from our vocabulary once and for all? I mean, Congress may not be able to agree to ban anything (i.e. unsafe food via GMO’s), but as individuals – we have enormous potential to be change agents. “Diet” is a stigmatizing word that could be the proverbial straw that breaks the camel’s back, sending a little girl into the full-blown throes of an eating disorder. She could hear it from her mother or from her peers at school who are trying to look like “supermodels” or fit into a certain size. I have personally experienced this and seen it in myself and my own family. But whatever the reason, it is time to adopt a healthier attitude toward food, which will help little girls (and big ones too) feel good about their body and their relationship with food at the same time. 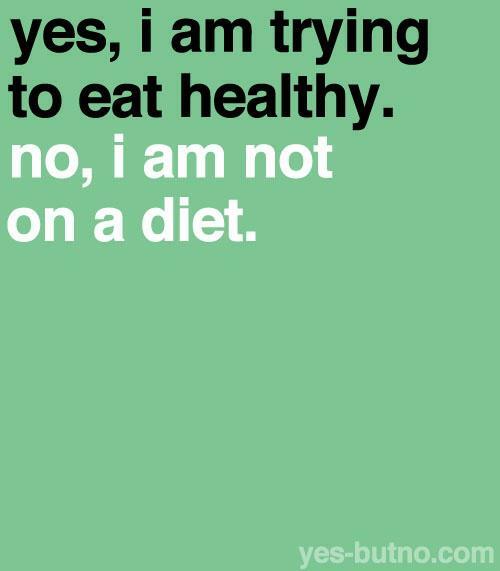 The word “diet” also implies that you are depriving yourself. That could not be a bigger lie. Eating healthy is the complete opposite of self-deprivation. I LOVE my vegetables, medicinal culinary herbs, and enjoying cooking Slow Food for other people. I eat organic, non-GMO, and most vegetarian, and my family and I love every minute of gathering around the table to cook. In fact, most gatherings we have with friends and neighbors happens around a table full of healthy food. Notice the word “diet” had nothing to do with it. Sure, we may have a healthy diet, but can we stop using “diet” as verb now. Please? I think the next generation, and this one too, will thank us.